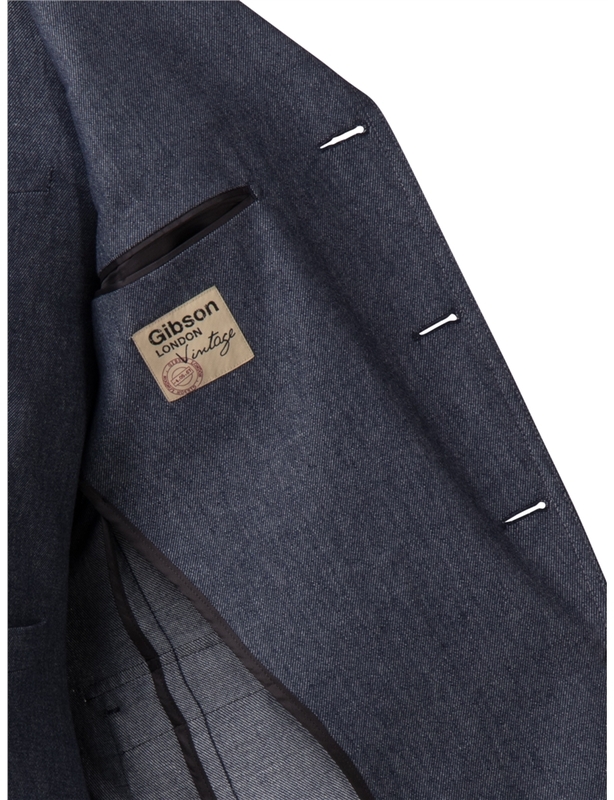 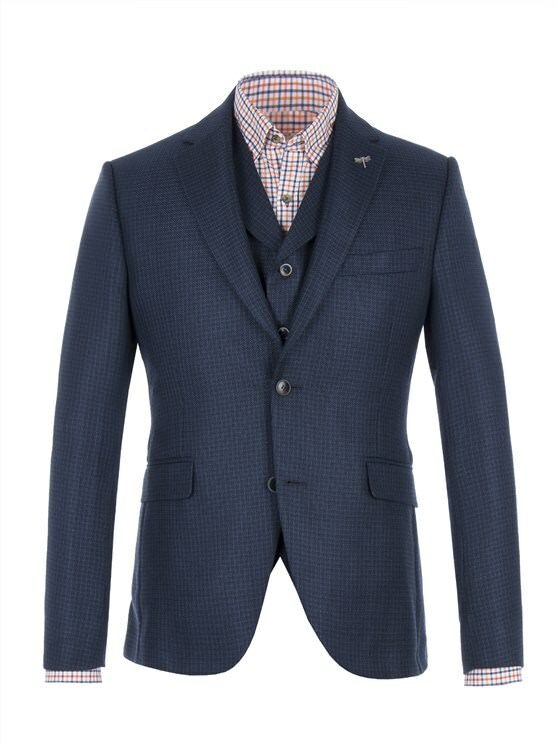 Gibson London Grouse style jacket, in a blue denim effect fabric, perfect for summer. 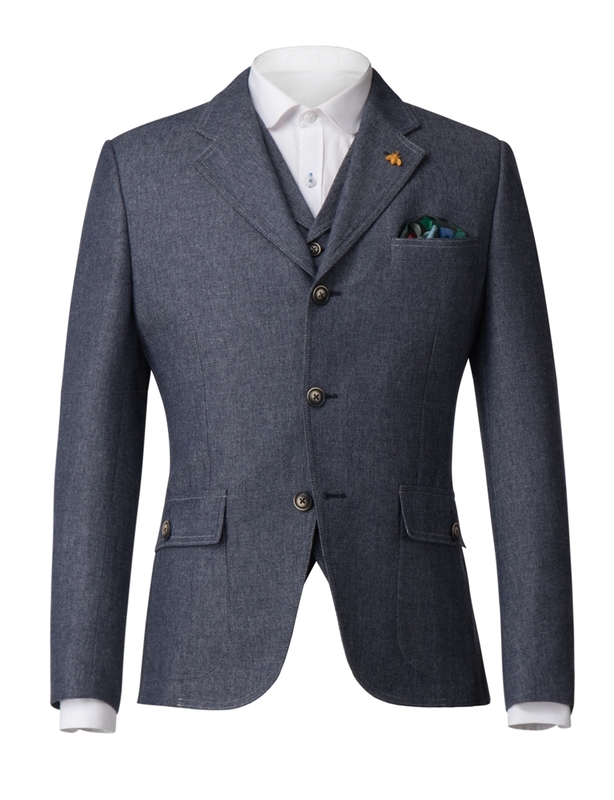 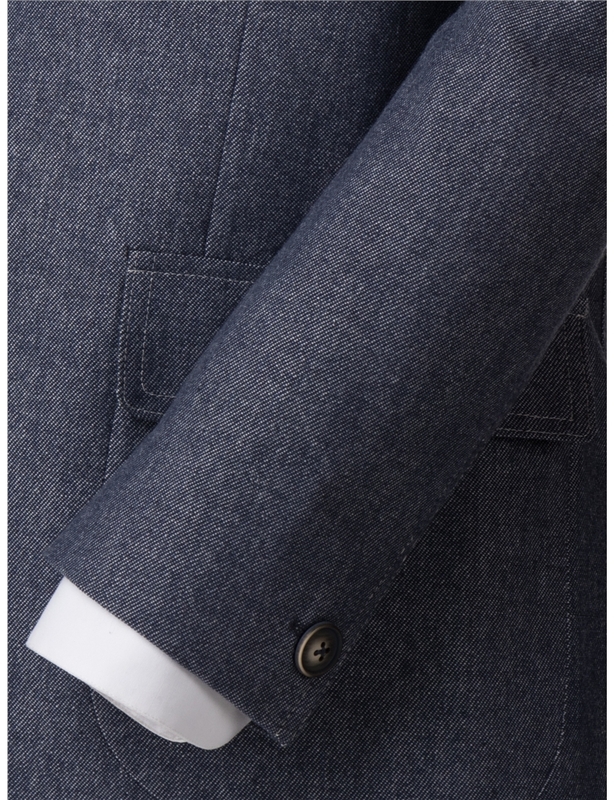 This Grouse jacket has the option to wear as a three button or as a four button for a higher fastening. 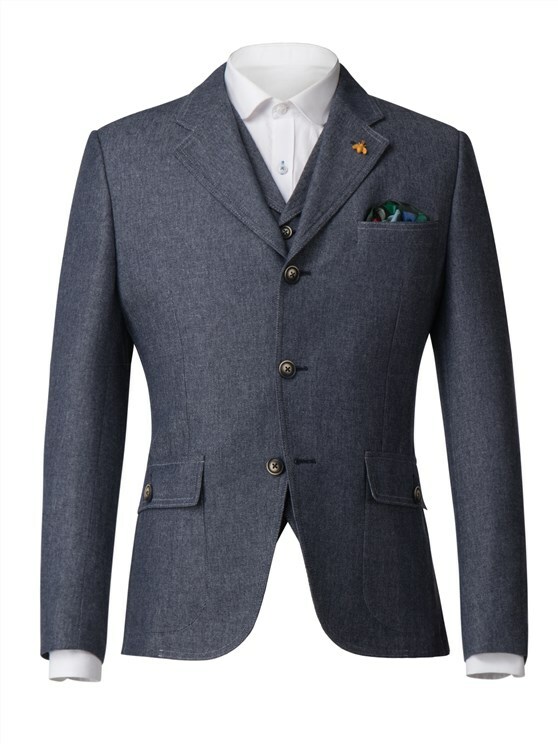 The jacket has top stitching around the collar and pockets creating a casual feel. 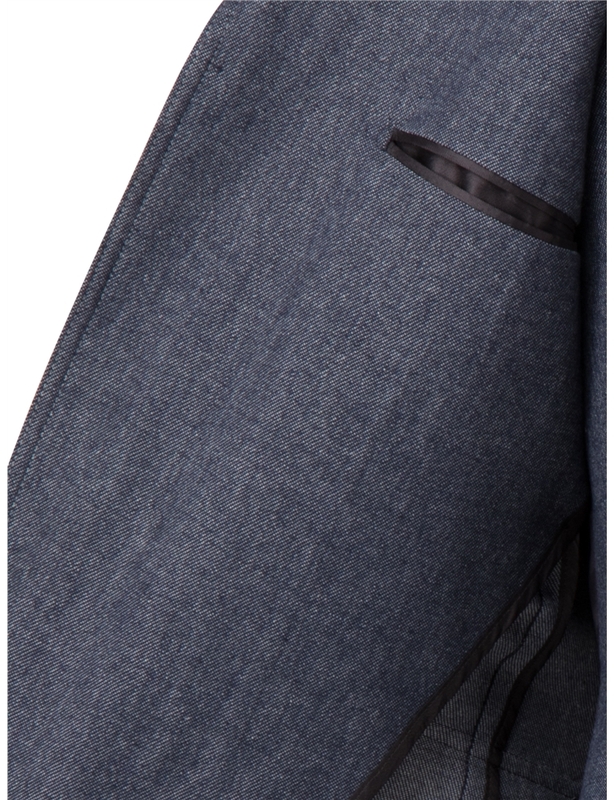 Half lined in the signature chalk print lining and also includes a hankie that can be pulled out of the front pocket. 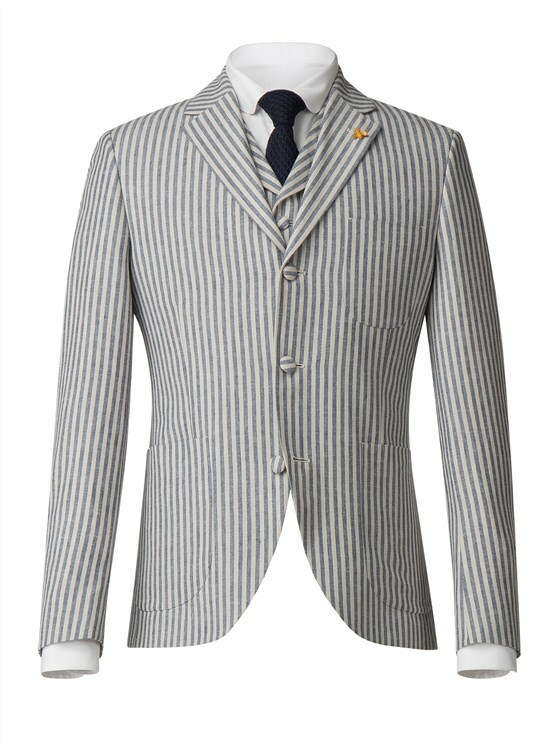 Each Gibson London jacket includes the seasonal bumble bee removable lapel pin. 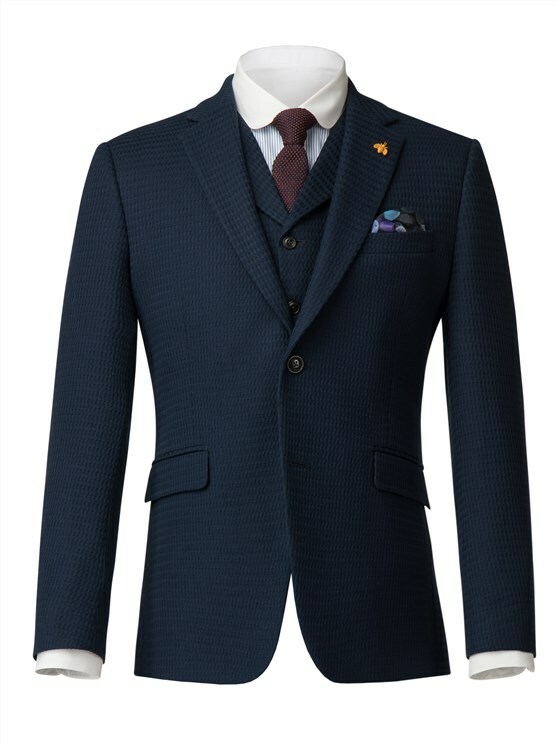 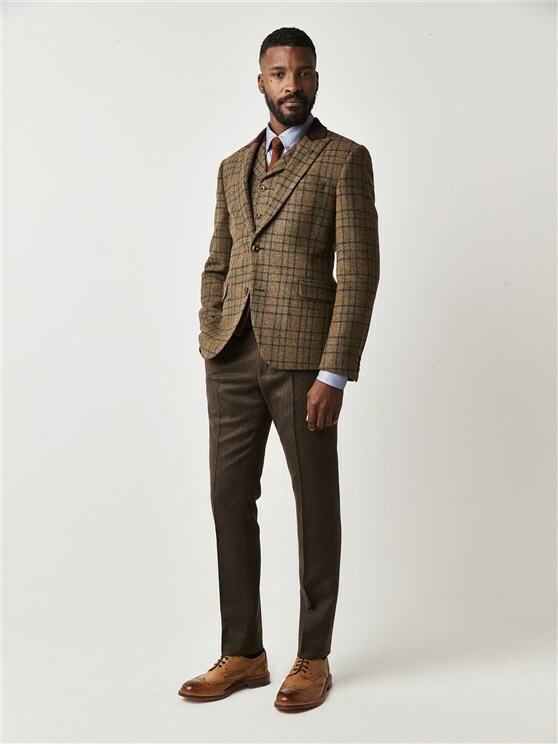 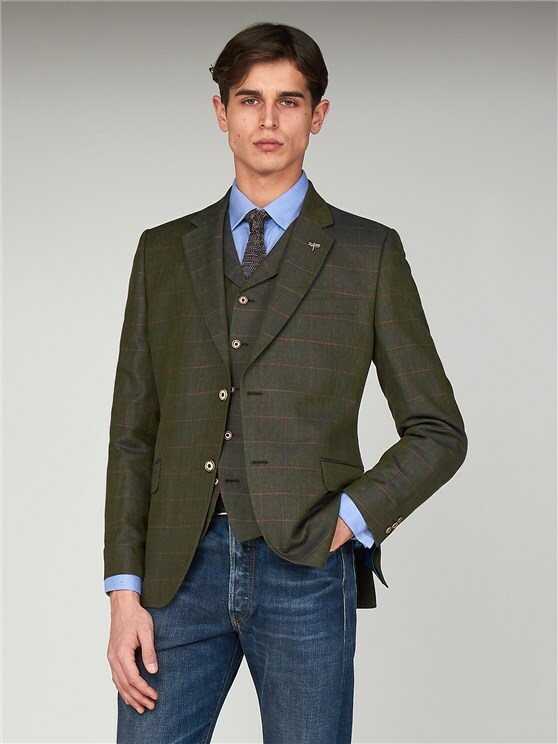 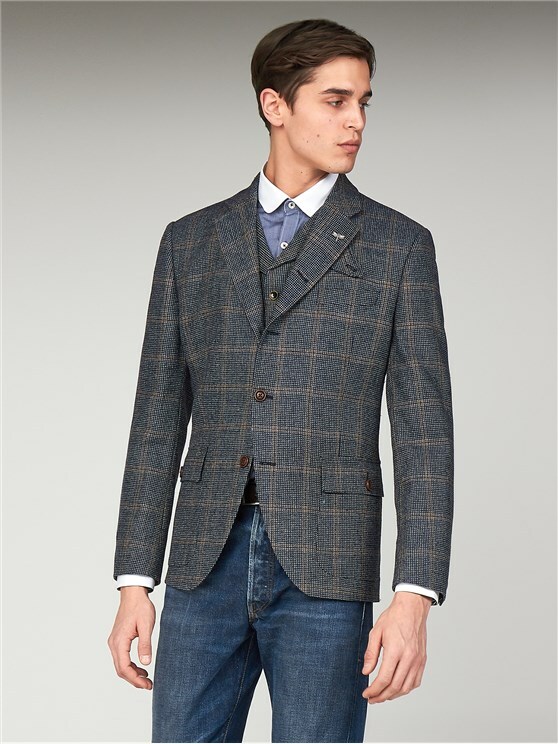 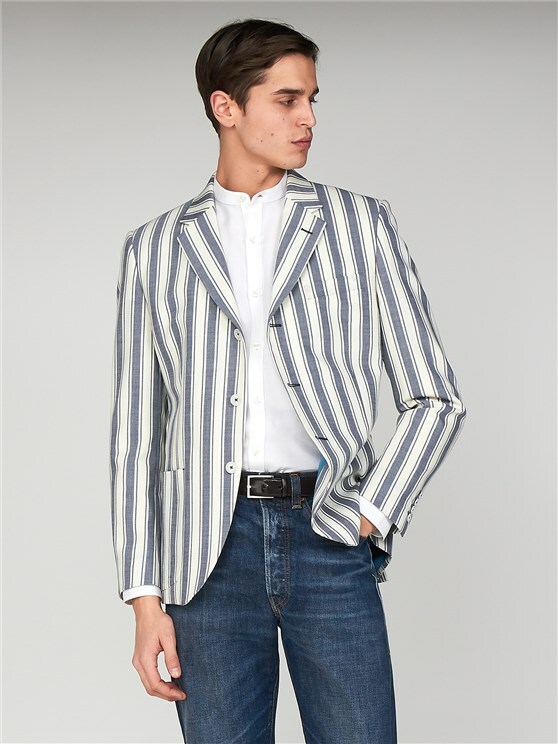 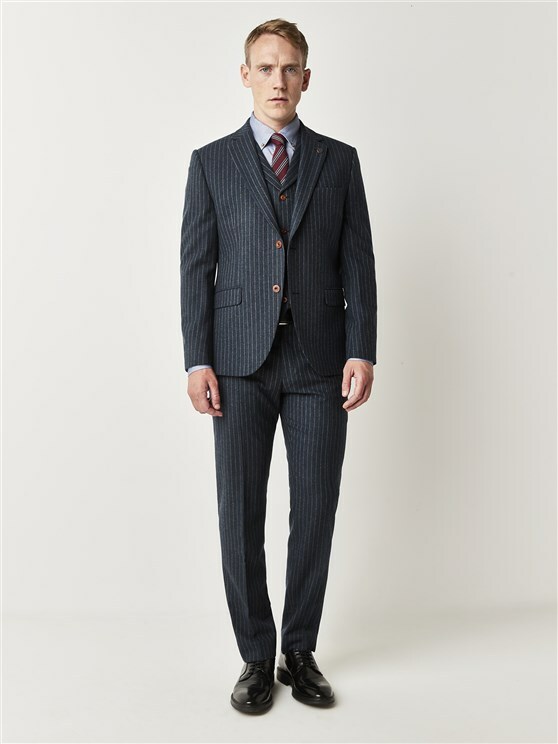 Pair with the matching waistcoat and a Gibson London shirt to complete the look.